The NGOs and the media that signed a protest declaration Friday against the appointment of a controversial media mogul and lawmaker for national security chief have decided to not participate in the meeting with Prime Minister Plamen Oresharski. 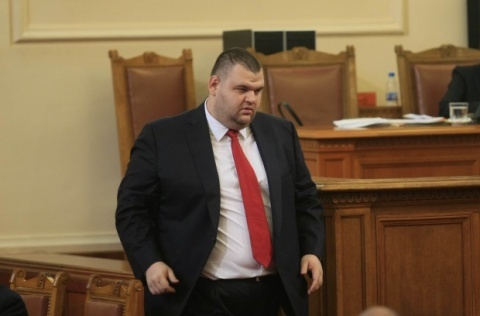 On Friday, the Bulgarian Parliament elected in a stunning move Delyan Peevski for Chairman of the National Security Agency (DANS). In response to the question whether we will participate in the meeting announced by the Government Press Center on June 17, 2013, between the Prime Minister and "representatives of NGOs that have signed the petition against the appointment of Peevski for DANS Director, we, the undersigned, inform that we will not participate in this meeting. We maintain our claims from the Protest Statement to the National Assembly on June 14, 2013. We do not find our participation in such meeting appropriate until these demands are fulfilled. 4. To vote again for of Chairman of DANS. Prime Minister, Plamen Oresharski, admitted Monday he underestimated the controversial public image of the man he nominated for national security chief. Speaking in an interview for bTV, he said the Friday decision of the government and the Parliament to appoint the controversial media mogul to lead DANS has been a mistake that sparked mass protest rallies in the country over the weekend. Oresharski pledged a large public debate in nominating a new person to lead DANS, noting he or she must be a very decisive individual in order to successfully oppose organized crime. The PM was very evasive in answering a question if he has been, indeed, the one to nominate Peevski.